Okay, before you’re like, “Holy shiz, you’re asking me to write a BOOK?! That’s not simple!” Listen: A 1,000-word blog post is already 4 pages of an e-book. Promote it just like you promote your freebie! Find 5 more freaking bomb ideas for your blog right here! Affiliate Marketing is selling someone else’s product for a commission. Affiliate marketing is easy because you can link to products with a unique-to-you URL, so the company can track if someone buys a link through you. All you have to do is link products. Holllaaaa! People are already buying on Amazon, so there’s no barrier to checking out. Plus, if someone clicks through your link, you earn a commission on everything that’s in their cart, not just the thing you recommended. You can apply for Amazon’s affiliate program here. 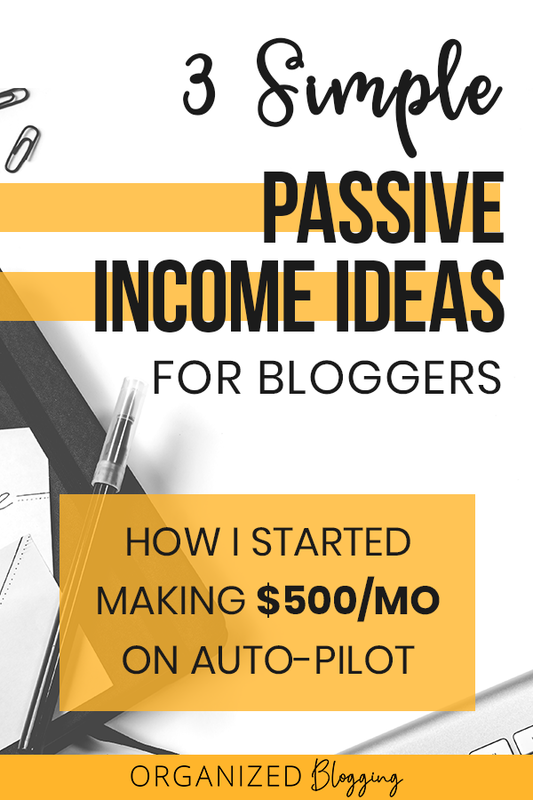 Applying for an ad network is another fantastic way to add a passive income stream to your blog. Just because you have ads doesn’t mean you have to destroy your user’s experience. Many people expect to see some ads on a website, and as long as it’s not seriously impacting load time and readability of your content, you should be safe. These are great traffic goals to work towards for your blog. For the past few months I’ve been working to get back up to 25k sessions on Hello Hayley, which I just hit this week! I just applied for MediaVine, so I’m hoping to get an approval soon! My recommendation is to pick ONE of these and GO FOR IT! But remember, the root to making money with any of these options is traffic to your blog. No traffic = no money. So crank out those blog posts and ramp up your Pinterest strategy to bring in more traffic. I’m rooting for you! 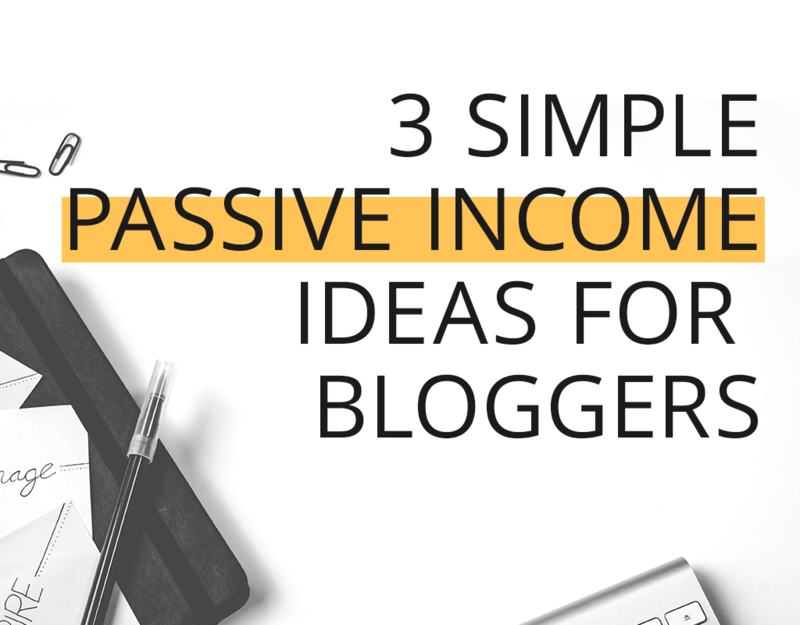 Pin these passive income ideas for later!